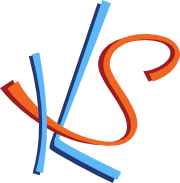 Technology — Knowledge Synthesis Inc.
Our core technology at Knowledge Synthesis comprises a data model for integrating biomolecular measurements on a genome-wide scale, database, statistical computing engines, and CGI web applications. Built over a period of years with refinements motivated by the real-world demands of research and development projects, we have created a biomolecular measurement and pathway analysis system that brings together gene, protein, and chemical data. With those data in a computable format, we are able to implement computations to discover and statistically test findings in big data, including completely novel findings. We have confirmed positive controls for many data sets and carefully assessed a number of novel findings that the system generates. We designed our core technology with the benefit of decades of data analysis experience. The focus is to reduce big data to findings that move your organization forward.